800 Cleanfire® H.O. Engine Piston: Grooved piston was designed specifically for the 800 HO Cleanfire® Engine to increase durability and engine life. 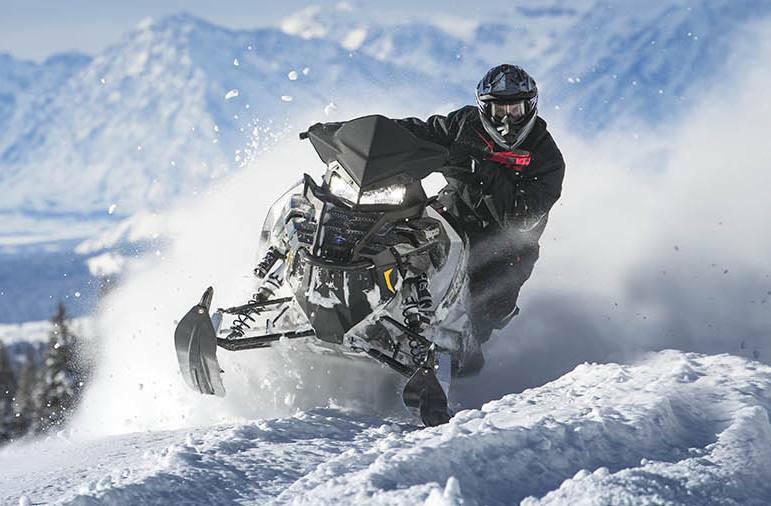 Gripper Skis: These gripper skis feature a deeper upper and lower keel design, allowing for the best performing skis in loose and hardpacked snow conditions. 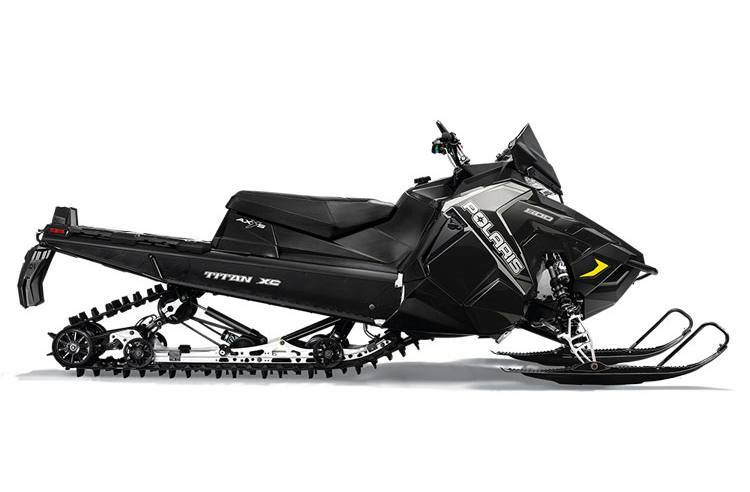 Integrated traction on top of ski for boot traction in deep snow; Deep keel for positive steering in loose snow; Large, forward biased rocker for reduced steering effort; Skis deliver flotation in deep snow & smooth, easy handling on-trail. 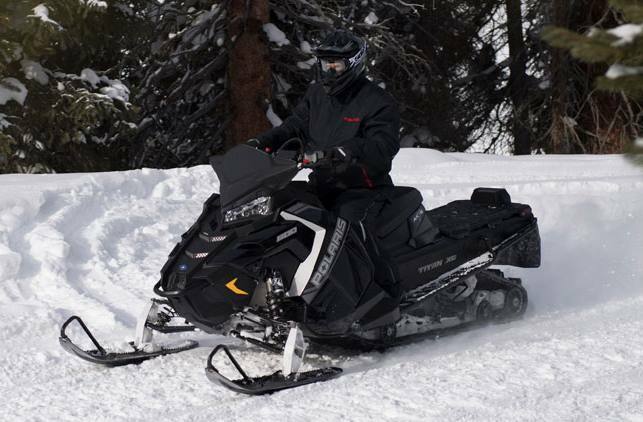 AXYS® Deep Snow Mid 13" Windshield: Deep Snow Mid 13" windshield deflects wind, snow, branches, etc., for enhanced rider protection. Front Track Shock: FOX® QS3 Comp. Adj. Rear Track Shock: FOX® QS3 Comp. Adj. Professional rider on a closed course. 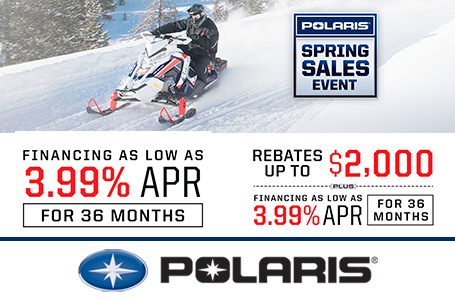 Polaris recommends that all snowmobile riders take a training course. Do not attempt maneuvers beyond your capability. Always wear a helmet and other safety apparel. Never drink and ride. Front Shock: FOX® QS3 Comp. Adj. 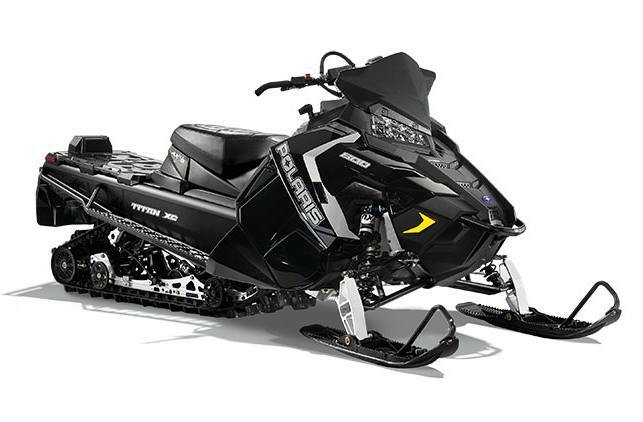 Piggyback; Front Suspension: AXYS® Front Suspension; Front Track Shock: FOX® QS3 Comp. Adj. 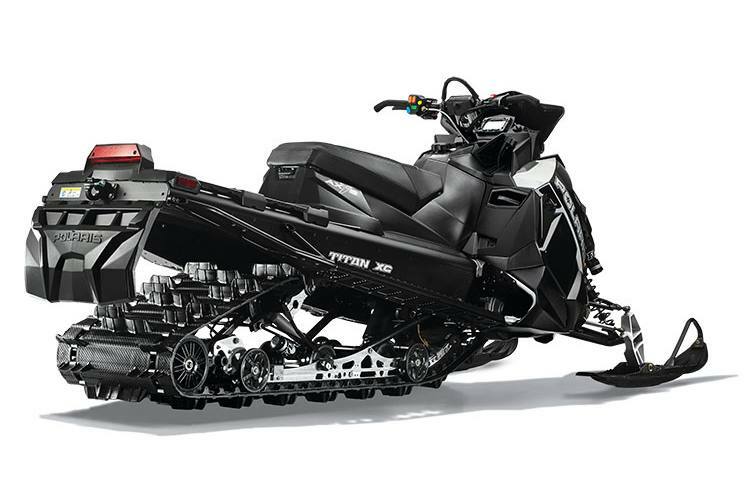 Rear Suspension: Titan Articulated; Rear Track Shock: FOX® QS3 Comp. Adj. 20 x 155 x 1.8 in.